Three Card Brag dates back to the 16th century and still thrives in India and Nepal today. Despite being less popular than poker the game is still full of bluffing, however, unlike poker, players cannot be bluffed out of a game with an “all in” as there are table limits. The game is played with three cards and there are only two betting rounds, one before the draw and one after the draw. The draw offers players the opportunity to change as many cards as they wish as well as the opportunity to play blind, meaning that players can participate without seeing the cards. To start the game, each player is dealt three cards, all facedown. It’s then similar to Texas Hold ‘em poker, where players to the left of the dealer put in small and big blinds and these are determined by the table stakes. Play continues in a clockwise direction with players able to throw the cards away, which is unlikely at this stage, to call or to raise. 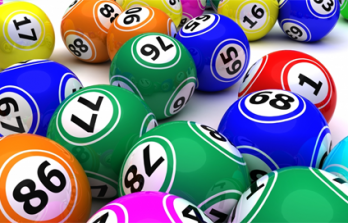 There can be up to three raises in the betting round, with each raise the value of the big blind. If the player is playing blind, they can only bet half of the going wager. Once all bets have been placed the draw is made, where players exchange cards from their hand with those in the pack. 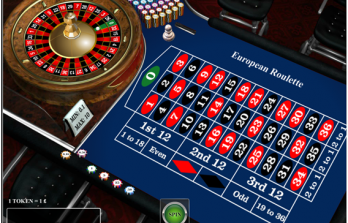 The dealer will then discard the cards and deal the correct number of fresh cards from the deck to each player. Each player can see how many cards each player is exchanging. 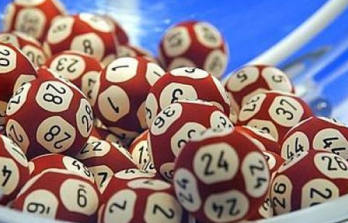 Once the draw has been made, another betting round takes place in exactly the same way as the first, with the exception that the initial bet is double the size of the big blind. Just as before there are only three raises in the round. The player with the highest hand at the end of this round is the winner and takes the pot. 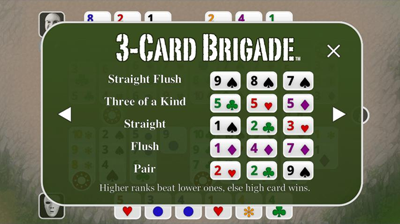 The hand rankings in Three Card Brag are similar to poker, but there are a few differences. The highest possible hand is three of a kind, with three threes being the highest, followed by the aces, then kings all the way down to twos. The next highest hand is a running flush, with three consecutive cards of the same suit. The third highest hand is a run, three consecutive cards of different suits. A flush comes next, three cards of the same suit but not consecutive, the highest card in the flush determines its value. After a flush comes a pair. After a pair, it is simply the highest card.